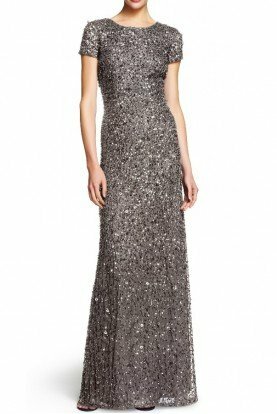 Please note: the gown for sale is in black tulle with gray applique, the stock photo is navy applique with black tulle. We don't have stock photo of the actual gown to provide. It is brand new, in its original bag. Retails for over $488 and is sold out everywhere.